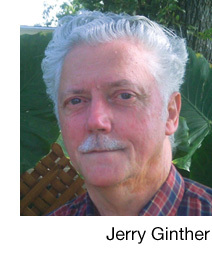 Jerry Ginther grew up in Sullivan, Illinois, with a few brief departures over the years. He served two years in the U.S. Army, 1966-68, and later attended Moody Bible Institute in Chicago. Jerry has a degree in Christian Ministry and is the author of Acquiring the Benefits of Biblical Wisdom, available in e-book format on Amazon.com. He and his wife reside in Texas.